DOL is replacing its guidance on socially responsible investing with new guidance that removes artificial barriers to investments that promote the public good. 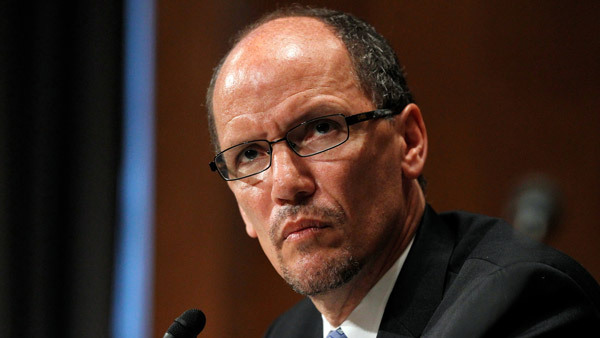 The Labor Department is replacing its guidance on socially responsible investing with new guidance that removes “artificial barriers” to investments that promote “the public good,” Labor Secretary Thomas Perez announced Thursday. Perez told a gathering of reporters and money managers in New York that the new guidance essentially reinstates language from 1994 that “all other factors being equal it’s perfectly acceptable for ERISA plan fiduciaries to consider the social impact of their investments” so long that those investments don’t compromise fiduciary obligations. The guidelines replace language issued in 2008 by the Bush administration that “gave cooties to impact investing” and had a chilling effect on economically targeted investing, said Perez. That 2008 guidance left behind some $8.4 trillion in defined benefit and defined contribution plans covered by the Employee Retirement Income Security Act, said Perez. In the meantime non-ERISA investments in ESG funds have exploded, said Perez, from $202 billion in 2007 to $4.3 trillion in 2014. “Our government hasn’t kept pace,” he said. At the press conference Perez was flanked by representatives from the financial industry – from Morgan Stanley, Trillium Asset Management and the Forum for Sustainable and Responsible Investment whose members include investment management and advisory firms, financial advisors and broker-dealers as well as nonprofit organizations and pension funds. The CFO of the Service Employees International Union was also there. Audrey Choi, CEO of the Morgan Stanley Institute for Sustainable Investing, noted that embedding environmental, social and governance concerns into core investment practices helps to recognize risk while often improving performance. A Morgan Stanley analysis of the performance of more than 10,000 mutual funds over a seven-year period found that funds using sustainable strategies performed as well as or better than more traditional funds “more often than not,” said Choi. In addition, a Morgan Stanley poll of individual investors found that 71% were interested in sustainable investing; for millennials that number topped 80%. Compared to other investors millennials are twice as likely to buy sustainable products like mutual funds, Choi said, and twice as likely to divest of funds when they disagree with company policies. Choi said she expected more companies would adopt ESG policies as more analysts and investors viewed those policies as part of the value proposition of companies and their stocks. Matthew Patsky, the CEO of Trillium Asset Management, which manages $2.2 billion in ESG funds, said today’s DOL policy change “sends a strong message about the legitimacy of ESG investing” and “democratizes” the consideration of ESG factors in investments.